These only work when the sun is out but it could be very useful in the event of an emergency and there is no electricity. 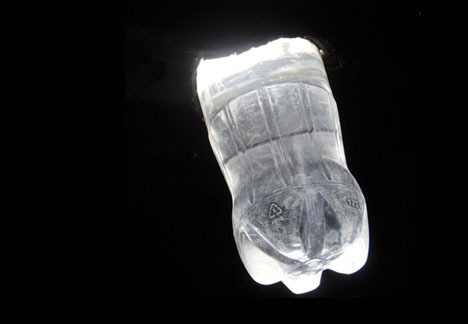 The physics of the concept are straightforward: the bottles are placed in roofs – half outside, half inside – and their lower portions refract light like 50-Watt light bulb but without the need for a power source. A few drops of bleach serve to keep the water clear, clean and germ-free for years to come.